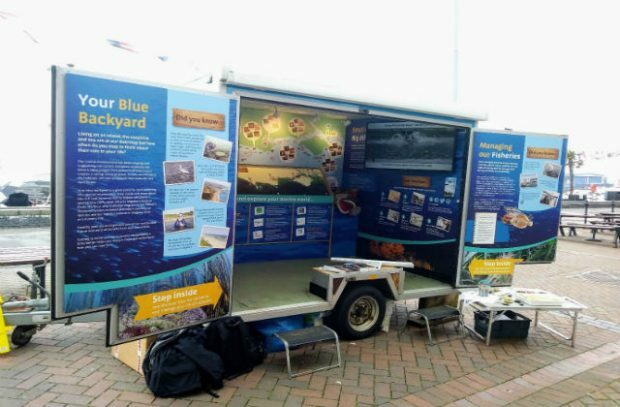 A new mobile exhibition showing our blue backyard and the underwater life of the Dorset, Hampshire and Isle of Wight seas will be visiting events across the area this summer. Area 13, a joint venture between Natural England, the Southern Inshore Fisheries and Conservation Authority (SIFCA) and the local Wildlife Trusts (Dorset and Hampshire and Isle of Wight Wildlife Trust), has created a showcase of the amazing beauty and diversity of our local coastline and seas. Many of us were awestruck by Blue Planet II but our own local marine habitats and species are just as rich and interesting – along our coastline, you’ll find reefs, seagrass beds, sea caves and mudflats – all of which teem with life. Not only are they important ecologically, they’re fabulous environments to explore and enjoy. 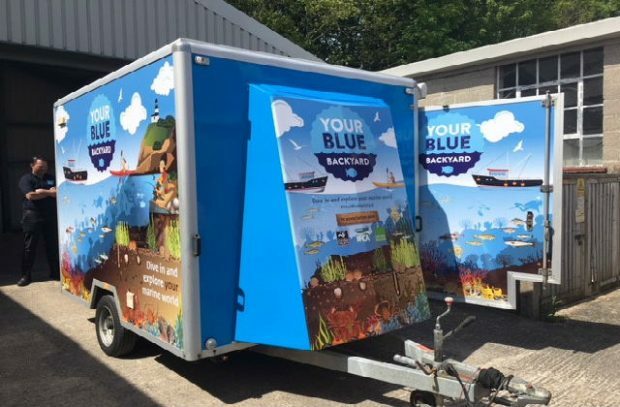 We’re hoping that this trailer will give everyone the opportunity to take that first exploratory step into their blue backyard. 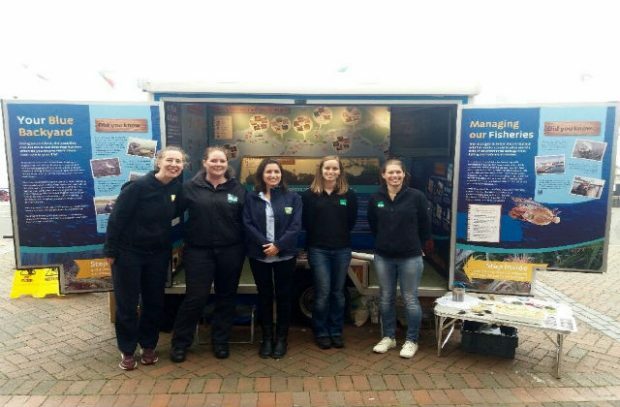 The exhibition is attending events across Dorset, Hampshire and the Isle of Wight throughout the summer, including the New Forest Show, Dorset Show and Marine Wonders at Lepe Country Park. Visitors will be encouraged to explore their blue backyard, talk to the marine team on hand and get hands-on with some interactive activities.